January 08, 2015 13:27 ET | Source: TransGaming Inc.
TransGaming Inc. (TSX VENTURE:TNG) today announced at CES 2015 that it will be monetizing its on-demand cloud gaming service GameTree™ TV across its global Smart TV ecosystem, in partnership with leading global monetization platform Paymentwall. TransGaming's GameTree™ TV holds the largest connected TV distribution footprint in the world, currently accessible on over 100 million Smart TV's across its TV OEM partners including: LG, Samsung, Panasonic, VIZIO, Philips, Toshiba, and Sharp. 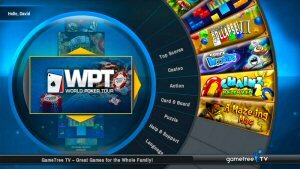 The partnership will allow TransGaming to monetize its monthly active users via subscription and in-game micro-transaction payments using Paymentwall's all-in-one Smart TV payment suite. "In partnership with Paymentwall we are able to monetize GameTree TV's rich catalogue of HTML5 games across our global Smart TV distribution channels in new and innovative ways," said Dennis Ensing, COO & Interim CEO at TransGaming. "We have demonstrated our industry leadership within the rapidly expanding Smart TV gaming market by securing partnerships with every major TV OEM provider on the planet. Now, by becoming the first company in the world to introduce sophisticated payment capabilities on Smart TVs, we are capitalizing on the opportunity to unlock the full monetization potential of the massive addressable market we have secured." 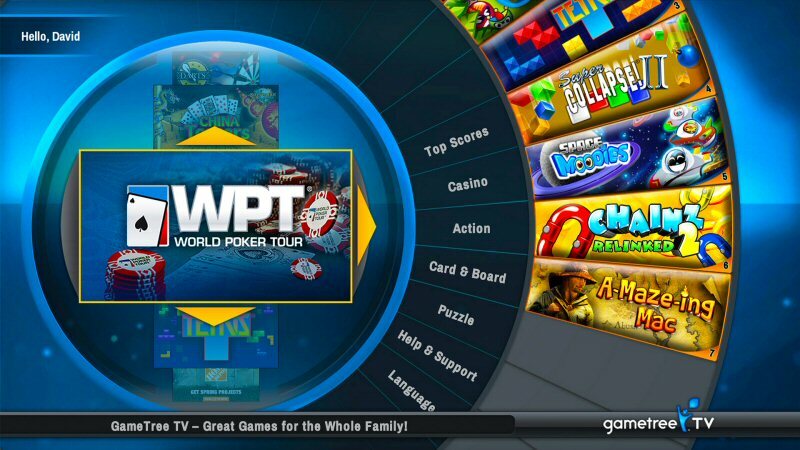 TransGaming's GameTree™ TV HTML5 service is ubiquitous across all its Smart TV partners, making connected TV gaming a mainstream activity by delivering an entertaining and interactive experience that can be enjoyed by everyone with access to a Smart TV. HTML5 games & applications solve hard problems for developers who are increasingly targeting a multi-device, multi-platform world. GameTree TV works directly in any browser or platform without additional plugins or installations, utilizing one code base that allows games to run on any device supporting HTML5, including TV, Mac, PC, and mobile. "This partnership facilitates the monetization of TransGaming's service through Paymentwall, while allowing GameTree TV to expand into new markets worldwide," said Honor Gunday, CEO & Founder at Paymentwall. "TransGaming's bigger-picture thinking will enable the company to become one of the first to successfully monetize their Smart TV user-base worldwide." Paymentwall's secure card tokenization makes one-click checkout a breeze, simplifying recurring billing for GameTree TV subscriptions with an intuitive UI requiring only numeric input that allows users to quickly and effortlessly complete their purchases. Alternate checkout methods are also available on a secondary device like a laptop, tablet or smartphone by visiting a unique URL or scanning a QR code to easily complete the purchase. Once subscribed to GameTree TV the service will feature a new selection of top rated games and features as part of an updated catalogue. TransGaming Inc. (TSX VENTURE:TNG) is the global leader in developing and delivering platform-defining social video game experiences to consumers around the world. From engineering essential technologies for world leading companies, to engaging audiences with truly immersive interactive experiences, TransGaming fuels disruptive innovation across the entire spectrum of consumer technology. TransGaming's core businesses span the digital distribution of games for Smart TVs, next-generation set-top boxes, and the connected living room, as well as technology licensing for cross-platform game enablement, software 3D graphics rendering, and parallel computing. Discover more at: www.transgaming.com. Paymentwall Inc. is the leading global monetization platform for digital goods and services such as games, dating sites, social networks, and SaaS companies. Paymentwall was founded in 2010, with the company's singular focus to allow everyone around the world to make payments and get what they want. With 120+ global payment options and support for credit card and debit card, mobile payments, eWallet, bank transfer and prepaid cards, Paymentwall's Smart TV payment suite is a solution for users worldwide, even in developing nations. The Paymentwall user interface is provided in over 25 languages with customer service centers located across the globe. Paymentwall is headquartered in San Francisco with 10 offices worldwide. Discover more: www.paymentwall.com.